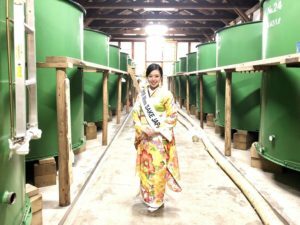 1 Asami Sudo, 2018 Miss SAKE, visited Takahashi Sake Brewery in Shiwa-cho, Iwate Prefecture. 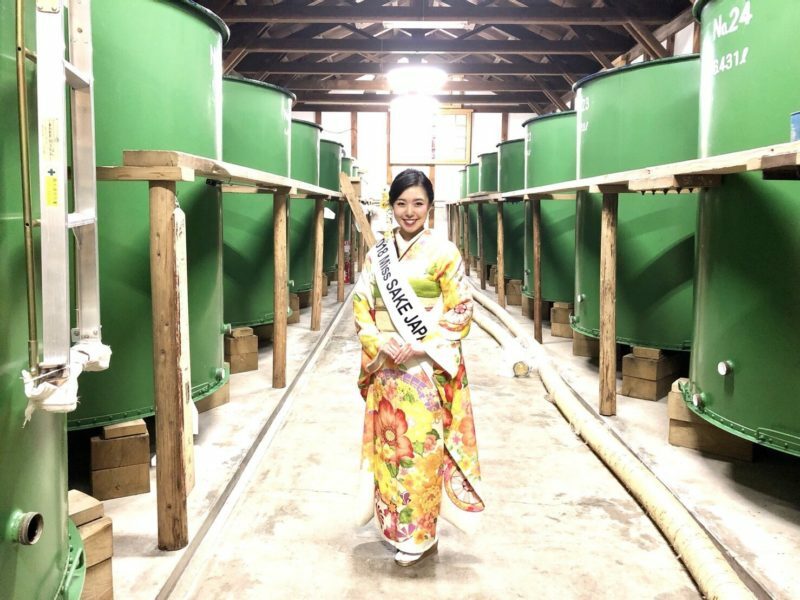 Asami Sudo, 2018 Miss SAKE, visited Takahashi Sake Brewery in Shiwa-cho, Iwate Prefecture. On June 29th, I visited Takahashi Sake Brewery in Shiwa-cho, Iwate Prefecture. Takahashi Sake Brewery brew sake named “Horinoi” in Shiwa-cho, Iwate, which is said to be the birth place of “Nambu Toji”. The brewery stands in a beautiful rural scenery filled with fields and farms. The brewery has not just brewed sake, but had its own rice field and cultivated sake rice from long ago. And since Shiwa-cho is the birth place of Nambu Toji, the brewery has always kept improving its sake quality supported by local people with great knowledge of sake brewing, which has realized the honor that Takahashi Sake brewery had won the gold prizes at Japanese national sake appraisal for 6 consecutive years. 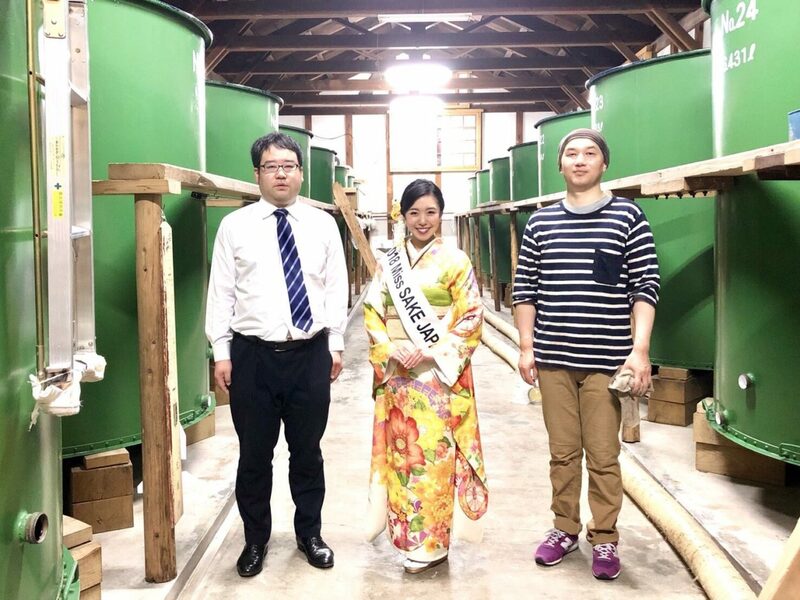 By visiting the brewery, I was deeply impressed by its philosophy to willingly stick to small‐quantity production to keep its quality as sake of the birth place of Nambu Touji. I also felt the brewery has developed with a great support of local people. On the same day, I went to see the stone monument of the birthplace of nambu toji in Shiwa-cho, Iwate. “Toji” means the chief brewer at a sake brewery and “Nambu toji” is the biggest toji group in Japan, who have developed and passed down the sophisticated sake brewing technology. The story of start of Nambu toji dates back 340 years. In 1678 a merchant under Nambu feudal domain patronage, Mr. Gonbee Murai started brewing sake in this area. Since then until 1924, the brewery had developed brewing technology and educated skilled and practiced sake brewers. Some of them started working outside Nambu feudal domain, which has led to spread of the elaborate brewing skills in greater regions. It is them who are to be known as Nambu toji afterwards. The stone monument was founded in 2010, out of respect for such legendary Nambu toji members and to pray for their further prosperity. 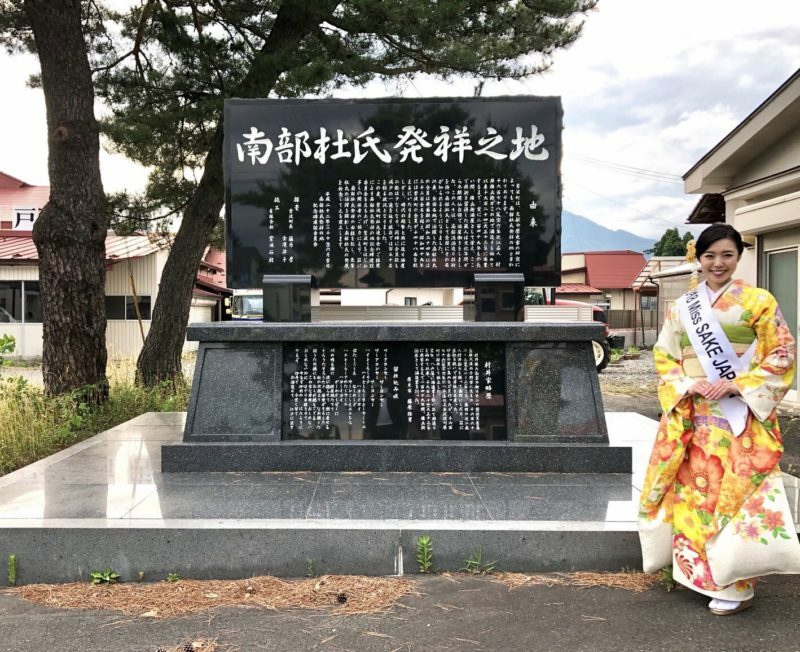 By visiting Shiwa-cho, Iwate and watching the Nambu toji birthplace monument, I could learn that sake brewing skills are nothing but historical and traditional assets, which we should respect and pass down to future generations. I extend my deep appreciation to Mr. Takahashi and people of Takahashi Sake Brewery.